If I’m not in shape at all, is CrossFit too intense for me? CrossFit is completely scalable, and designed for anyone desiring to look better, feel better or perform better. Regardless of your current weight or even some old war wounds, our members come in all shapes and sizes. Our youngest member is 12 and our oldest is almost 70. Don’t let anything stop you, and if you have questions, come in for a trial. Why does it cost more than a typical gym? This is a common question only asked by those who haven’t experienced our program first-hand. Each class is led by a knowledgeable instructor, and the entire community has access to the head coach who will guide them scrupulously through proper movement and eating habits. Our coaches aren’t mere meat heads who got some certificate online. They’ve gone through an intense training and internship program designed by head coaches Matt. They all share an intense passion for helping people move properly and reach their fitness goals. The coaches invest their time and knowledge in each member and for less than a cost of a yoga class you get a complete fitness package. Can I drop in from another CrossFit gym? Yes. Feel free. Please go ahead and purchase a drop in fee online to save time when you arrive. Does each class have a coach? Yes, each class is led by a Certified coach and our coaches are second to none. They are there to make sure you’re moving properly, efficiently and most of all, safely when going through the workouts. Your coaches and fellow CrossFitters are always there to help. This is up to the individual member. In any CrossFit gym, you’re competing with yourself, to always improve and move forward. Naturally though, there will be certain members who will give you a nice push, and you’ll do the same for them. Healthy competition is always supported, but never mandatory. Your coaches are there to make sure that you engage in intense fitness, but NEVER at the cost of sacrificing our core movement principles. Are there different classes for different skill levels? All new members first go through our on ramp programs where they learn the fundamentals behind proper movement mechanics. This program is not designed to make you an expert, rather it will provide an ever-important foundation for moving forward and providing a smooth transition from the street to the class. I’ve heard CrossFit is like a cult, is that true? Well…..not really. CrossFit isn’t really a cult, it’s a community of people dedicated to health and fitness. Those who are serious about their health fitness tend to become, for lack of a better word, addicted to CrossFit. So it’s a group of like-minded individuals who come together and push themselves to levels of fitness they never imagined possible. It’s all about getting crazy-fit, and having fun with friends while doing so. I have bad shoulders/knees, etc. am I going to get hurt doing CrossFit? 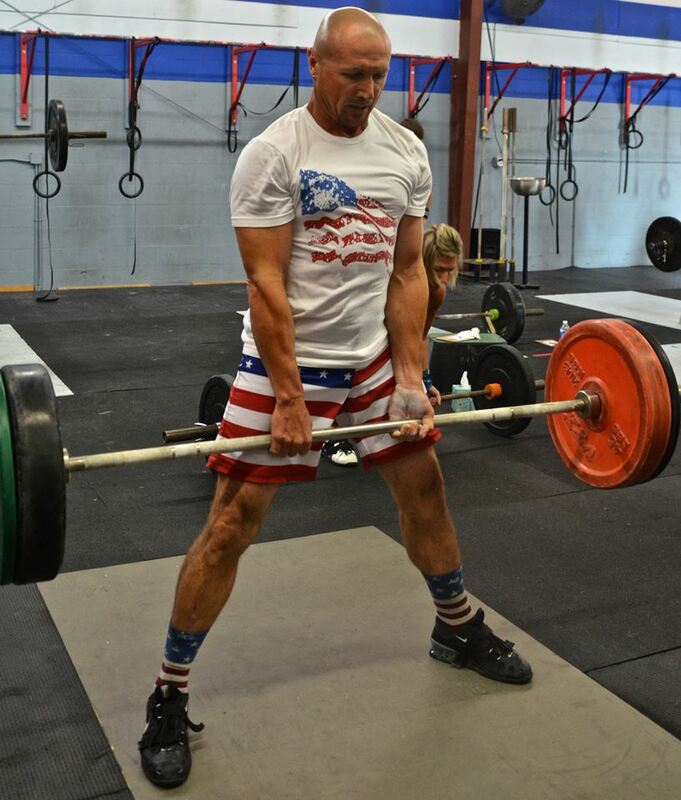 CrossFit, especially at CrossFit Sarasota, focuses on functional movement, and when we properly execute functional movement it can be done safely, and actually help strengthen the weak areas of our body that have been neglected due to injury. Our goal is to teach you to move correctly that’s why there’s always a coach making sure you’re in proper position and focusing at all times on your technique. Just because you have some old war wounds doesn’t mean you give up. Most of our members come to us with previous injuries, ranging from shoulder and knee problems to back and hip issues. A lot of those bad knees can be fixed simply through better movement. Should CrossFit replace my other fitness routines, such as general weight lifting and running? Depends on your goals. If you’re a triathlete CrossFit is a tremendous compliment to the running, biking and swimming already in your training regimen. If you simply want to get REALLY fit, then CrossFit will get you there on its own. We recommend no less than three CrossFit workouts per week, but if you’re serious, four or five will ensure you reach maximum fitness.